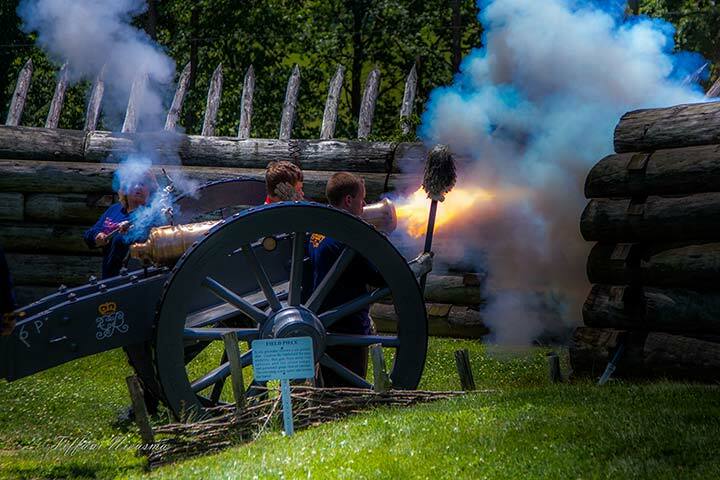 Free admission to the fort, award-winning museum and special firing demonstrations. Firings (weather permitting) take place at 11:00 am, 1:00 & 3:00 pm. Explore the authentically reconstructed British fort while becoming immersed in the story of Colonial America before the American Revolution. Find out how this Fort, the last in a string of fortifications built along the newly cut Forbes Road that began in Philadelphia, made Pittsburgh possible and changed world history.